What a year it is for Bond. Not only does it see the release of the 23rd film "Skyfall", but it also marks the 50th anniversary of the first cinematic outing of the World’s most famous super-spy. To mark the occasion, the London Film Memorabilia Convention organised “Goldfinger Day” to celebrate the film that first brought James Bond global success. The event saw a gathering of some of the cast members and technicians who helped make “Goldfinger” such a resounding success. 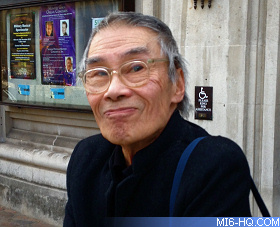 Honor Blackman, Shirley Eaton, Tania Mallet, Margaret Nolan and Burt Kwouk were present, along with legendary production designer Sir Ken Adam, and the Academy Award winning sound designer, Norman Wanstall. As if this weren’t enough, a virtual Aladdin’s cave of highly-collectible Bond merchandise and memorabilia filled the Central Hall Westminster’s main hall, including rare film posters and vintage toys from the sixties. Throughout the day, crew and cast members participated in talks, detailing their experiences working on the film and what it was like working with Sean Connery and director Guy Hamilton. 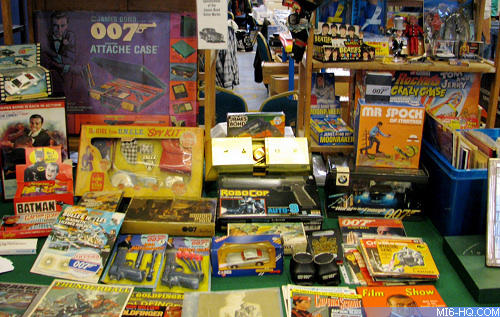 Above: Some of the collectibles on sale at the event. The talks included Sir Ken Adam in conversation with Sir Christopher Frayling; Honor Blackman talking with LFMC’s Thomas Bowington; Shirley Eaton, Tania Mallet and Margaret Nolan – the “Golden Girls” of “Goldfinger” - talking with writer and film historian Philip Masheter, as well as Norman Wanstall discussing how he created of some of the iconic sounds from the series. 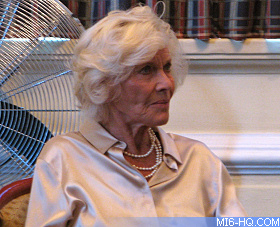 The event provided not only great deal of insight into the production of “Goldfinger”, but also afforded a rare opportunity for fans of the James Bond series to have photographs and memorabilia signed by the cast and crew. And that alone is worth its weight in gold. Many thanks to Ben Williams.